Salesforce as the pioneer CRM software is assisting businesses to close more deals with seamless contact management, marketing automation and collaboration of all sales departments. 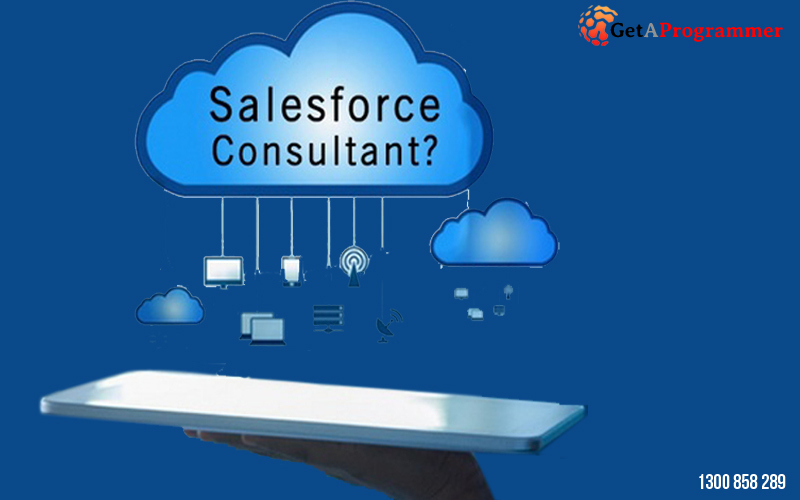 This article will explain to you how Salesforce does that, irrespective of the size of the company. Sales and marketing activities have two indispensable aspects of businesses that help them realise their end goals. According to research reports by Salesforce, marketing-enabled goals are key measures of success which include sales growth and customer acquisition. Sales and marketing are no longer two separate mechanisms operating in silos. More importantly, the two are being associated together by businesses to get quick results. The differences between the two functions are getting blurred as customers are becoming specific about their experiences. In other words, the collaboration of sales and marketing is a boon for small and mid-size businesses helping them to grow in this age of technically-connected customers. They want everything quicker, in a personalised and cohesive way! A CRM software gives the opportunity to businesses to bring collaboration effortlessly between the two functions. Salesforce is perhaps the best CRM around for the purpose and this post will be shedding light on that. Before you know how Salesforce can help collaborate sales and marketing operations, here is what collaboration between sales and marketing means. Connecting all the customer-facing departments of sales and marketing in a single platform, so that every one of those departments can have common access to customer information. Automation of different sales-oriented and marketing activities. Also, completion of one task automatically sends a notification regarding the next task to commence and every salesperson has the historical details of all tasks going on and completed. Development of a collaboration layer so that sales and marketing executives can share documents and other essential data to interact with customers or leads individually. Getting up mobile accessibility so that anybody from any of the sales or marketing departments can handle everything on their palm in real-time. Getting a system that provides end-to-end analytics of all functions of sales and marketing to assess the performance. It is required to know whether the company’s efforts are worth enough to raise customer satisfaction and what’s more needed. Marketing and sales alignment is right now the needed strategy for businesses. With many robust tools that are inbuilt in Salesforce, sales executives can seamlessly collaborate marketing and sales activities like never before. With Salesforce Data Management Platform, you can engage intensely with current customers, find new ones using the saved up customer data. It helps in creating an artful database that will keep comprehensive records of customer data profiles and thousands of valuable customer insights. The executives from the sales or marketing team can anytime access those data, engage in multichannel interactions and have data activation from anywhere. Chatter comes as the key collaboration platform brought by Salesforce which helps members or executive of different teams come in touch with each other and initiate conversations in real time. Salesforce Chatter is like a social network that displays feeds and profiles of every teammate too. So, they get the right opportunity through the platform to have records of their profiles and tasks and view that of others. In an amazing way, Chatter provides a competitive advantage in sales by helping the Sales leaders to form new teams and promote collaboration between each other to achieve new sales goals. Leads management: Helps in tracking all the leads from the initial level, while consistently finding ways to promote campaigns in various channels. With accurate stock up of all leads details, you can make informed decisions regarding which leads to follow up and which is worth converting. Sales Data: It aids in assimilating all the latest and accurate data related to sales so that the team’s decision makers can anticipate quick, make decisions and plan their next move. Files Syncing and Sharing: For every executive involved in sales and marketing, it becomes easier to sync and share essential document files or excel sheets with other each and initiate a discussion to reach some particular decision. Reports and Dashboards: Everyone in your teams now could get a real-time picture of what’s happening around in their business and progresses in sales. They can eventually research deeper with all the accurate and detailed reports anytime from anywhere. Sales Forecasting: You could get accurate forecasts in real-time about demands, prospects, customers preferences and sales, all that help a business to remain in the top. Workflow and Approvals: There’s a rich feature of Visual Workflow with which any team member can design a particular business process and automate that with the drag-and-drop facility. Aligning and collaborating the tasks of sales and marketing gives more opportunities. Both the departments are not just interrelated but also interdependent. For one team to efficiently do their tasks, it needs to understand what’s going on in the other team. Before initiating any marketing campaigns or promotions, it is necessary for the marketing executives to know what does the sales team expect, i.e. what kind of customers they want to serve. Likewise, sales of the company fully rely on the type of prospects or the number of high-quality leads the marketing team has fetched. It is thus no doubt true that high performing companies are those who have most successfully aligned their marketing and sales and kept each in other subtle association all the time so that decisions are prompt and results are assuring. Besides, both sales and marketing aspects are a crucial part of the customer journey. So, with Salesforce coordination, you can give more importance to your customer experiences and earn loyalty from your potential customer base over time. Johan Smithis a senior expert Salesforce Consultant in Australia, who is positioned at GetAProgrammer, a leading ERP and CRM Solutions provider offering brilliant transformations to businesses in their processes. A tech enthusiast, avid writer and keen learner, he makes efforts in researching the latest CRM technologies and share the crucial updates to make businesses aware of that. With his vision, in-depth knowledge and sharp instincts, he has been providing expert consultation on Salesforce implementation to businesses of all categories to help them get ahead in their success journey.